For the last New Beer Friday of 2016 we not only have new beer but a new brewery has entered our market as well. Elysian Brewing out of Seattle quietly slipped in this week, we will hopefully be seeing some of their more infamous IPAs and other beers very soon. As for now I'm only aware of one. Here it is. 2 Row Oatmeal Stout - Big roast, some char with faint molasses dark, dark chocolate and liquorish. Very complex for an oatmeal stout. It has the body of an 8% beer but it's only 5.6%. Just bottled yesterday, it's at the brewery for now. Look for it we you normally enjoy 2 Row's brews next week. Hopefully, you've been good little beer nerds and nerdettes. If that's the case? 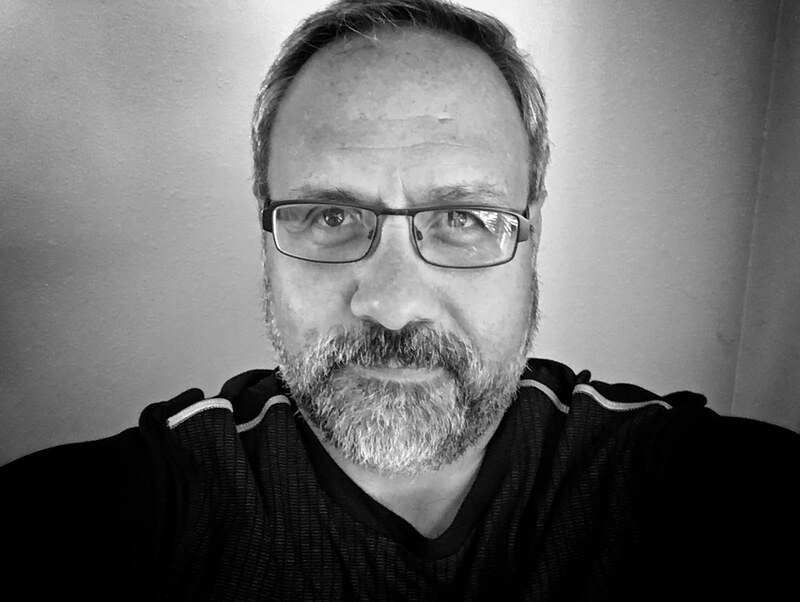 Santa may reward you with a shiny new spaceship or better yet, you may get that 15 year vertical of that coveted Bulgarian Boza you've had your geeky eyes on since 2001. I can't help you with the Space Ship or the Boza (or Boza's side effects) but I can help you with the new beers that are guaranteed to make your holidays bright. Labels: Melvin Brewing Company, Proper Brewing Company, Talisman Brewing Co., Uinta Brewing Co. If you're a fan of craft beer in small packages, we have some great news for you. 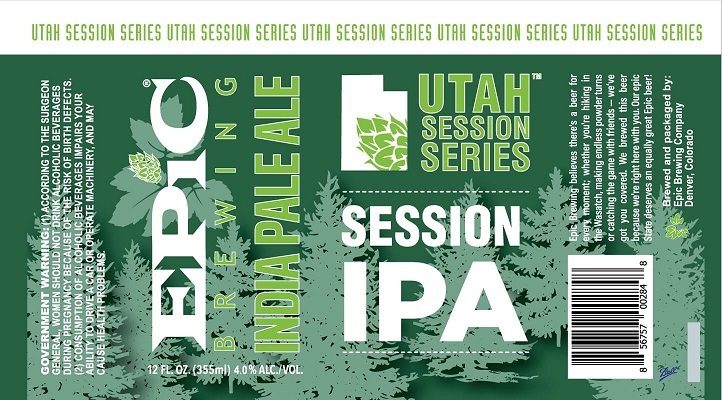 Epic Brewing will be putting some of their Utah Session Series beers in cans. 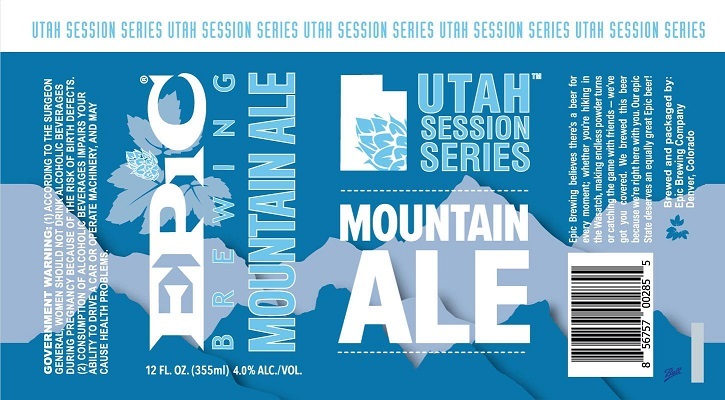 Epic's Session Mid Mountain Mild, SLC Lager and Session IPA will be getting the new packaging sometime in the second quarter of 2017. This great news for consumers that prefer the ease and mobility of cans versus the cumbersome bombers that currently occupy grocery and C-store shelves. 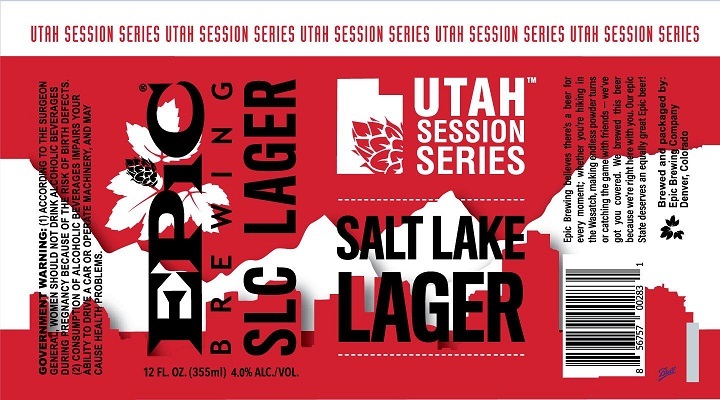 The Mid-Mountain Mild is malt forward with nice biscuit and caramel - The SLC Lager has a smooth, crisp bite, ample hop bitterness, lemony, herbal, bready, with a clean, dry hoppy finish - Epic Session IPA has tropical, papaya and grapefruit with a smidge of sweet malts, Light and bitter. 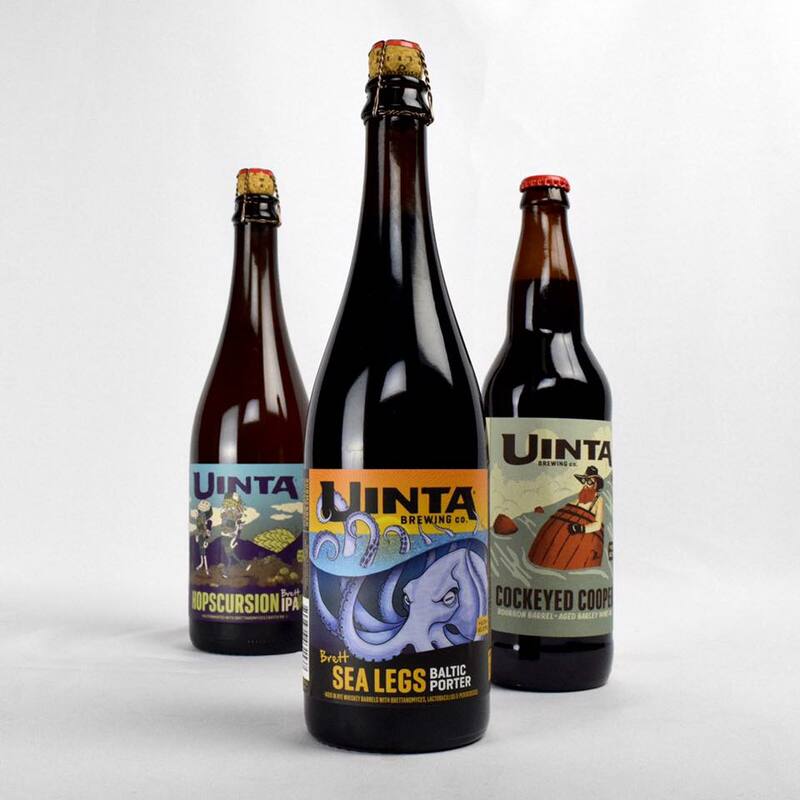 In other local beer news, Uinta has Released their two newest wild ales. 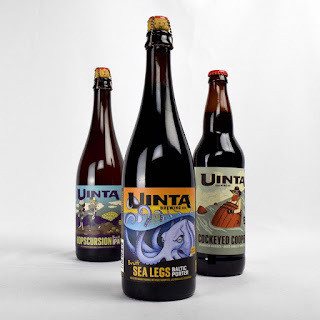 Brett Sea Legs is a wild interpretation on Uinta's Sea Legs Baltic Porter. It combines cocoa and whiskey and twists it wild funk. The Hopscursion Brett IPA is part of a new trend flips IPAs upside down adding doughy barnyard funk with a bit of tartness. Uinta has also brought back Cockeyed Cooper Barrel Aged Barleywine. This beer took a year hiatus, but it's back now! I'll have my full tasting notes on these and other new stuff tomorrow for New Beer Friday. 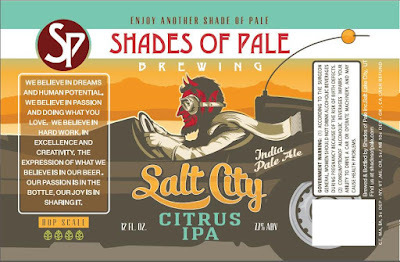 We've got your fist peek at some new stuff coming from Shades of Pale Brewing this morning. First up we have the Salt City Citrus IPA. If you've been keeping up on the IPAs coming out of shades you know they always are big on the citrus edge. 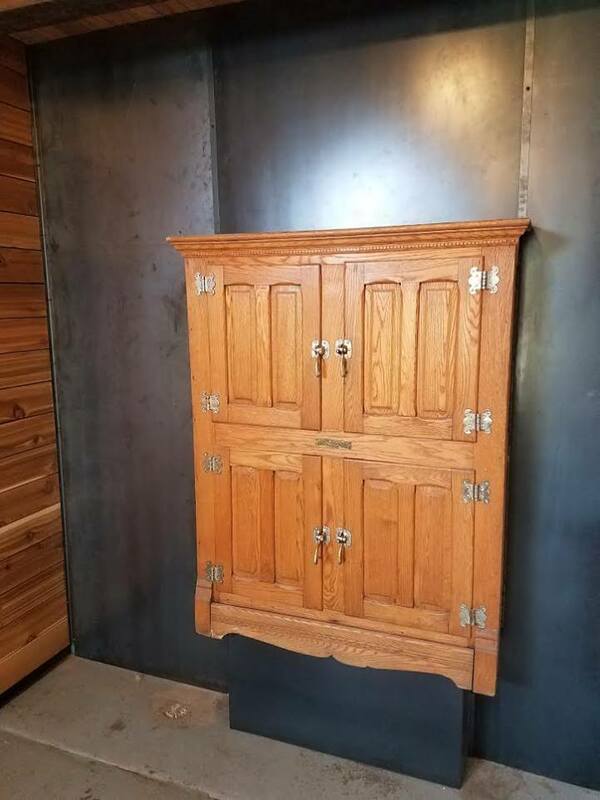 I'm currious to see what this one brings to the table. This IPA will dial in at 7.7% ABV and be packaged in 12oz bottles. Next up is Tin Angel. 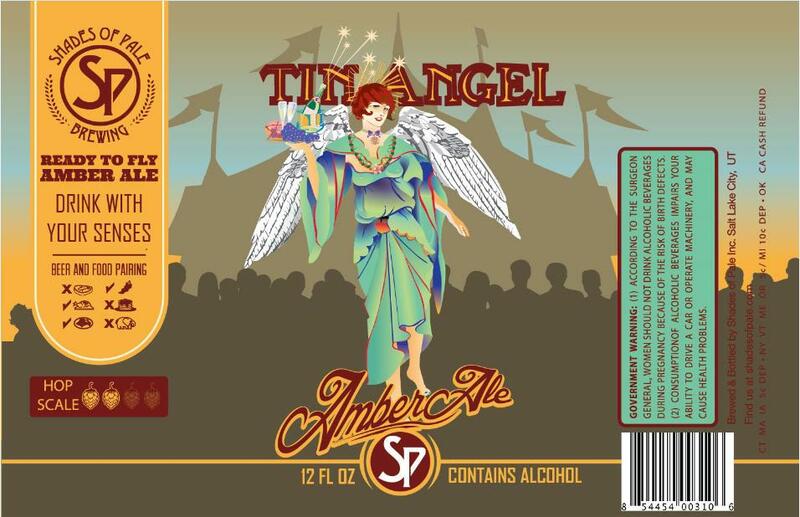 I believe this is a special label for SOP's Ready to Fly Amber Ale. This could be a label for a private entity. The Tin Angel Cafe comes to mind. I'll get that straightened out and fill you in soon. 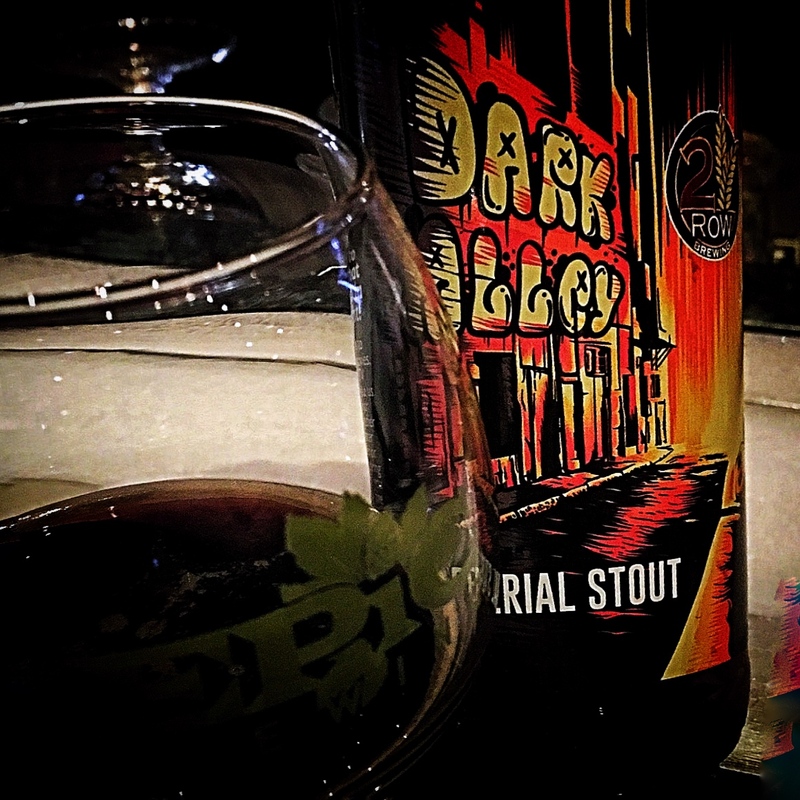 Later this morning (12/13/16) at 11am 2 Row Brewing will officially put it's new Dark Alley Imperial Stout on sale. 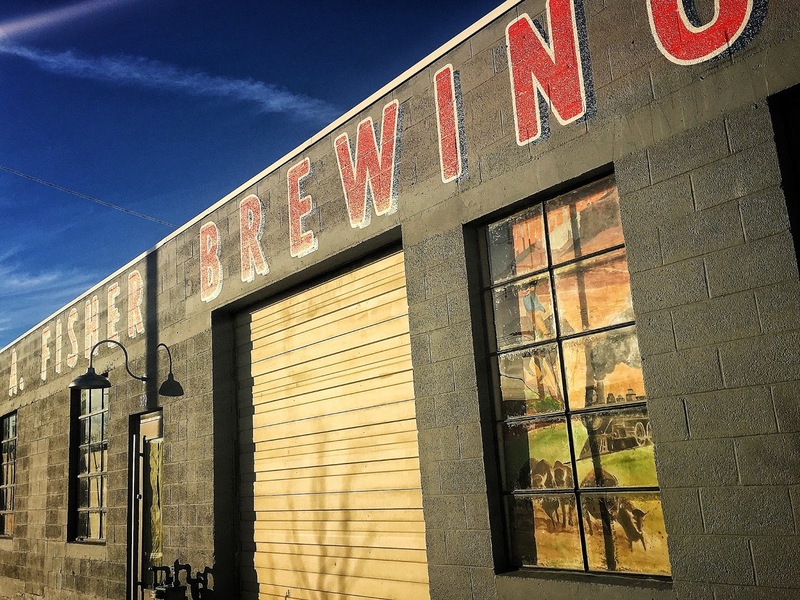 If you've haunted one of SLC's beer bars over the weekend, you may have already tried it. The nose has chocolate with a hint of cookie followed by a bit of roasted malt and mocha. The flavor is very intricate. As in the nose, there is a bit of sweetness on the tongue which quickly turns in to deep strong dark chocolate. The bittersweet finish is biting but leaves the mouth watering. A few more sips brings out molasses and cocoa. As it warms a bit of raisin edges it's way out, but the dark coco stands strong. Considering the ABV is 13.4% the alcohol is pretty well subdued - don't be fooled, you will loose if you underestimate it. 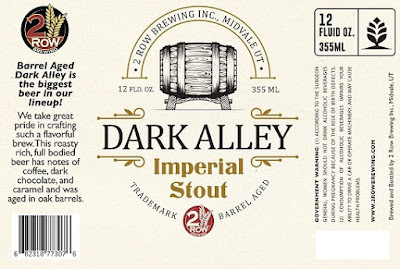 On the heels of this release, you'll be happy to know that there's a Barrel Aged version of Dark Alley current asleep in in High West whiskey barrels. The label for Barrel Aged Dark Alley is pictured above. If you're a fan a big hearty Imperial Stouts, this one may make you squeal. It's already 13.4% - the barrel will likely knock that up a bit more. As soon as it's done aging, I'll provide the date and time. Stopped in to the Maverik in Centerville to grab a "mixer sixer" last Saturday night and what do I see? 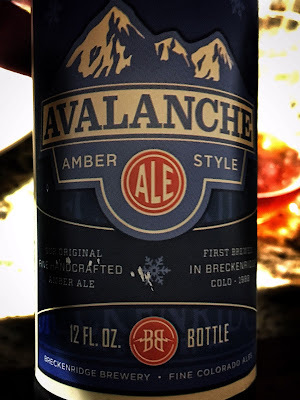 A Breckenridge Avalanche Amber staring back at me! I'm usually pretty up to date with these things, but this one hit me by surprise. Too bad it's just the Avalanche. It's a mediocre amber ale at best. I guess it's time to start rattling some chains and get some of their better options in the mix! Has anyone seen anything else from Breckenridge other than this? 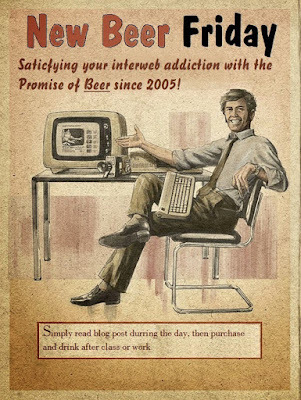 Your fellow beer nerds would love to know! This will be my last New Beer Friday. 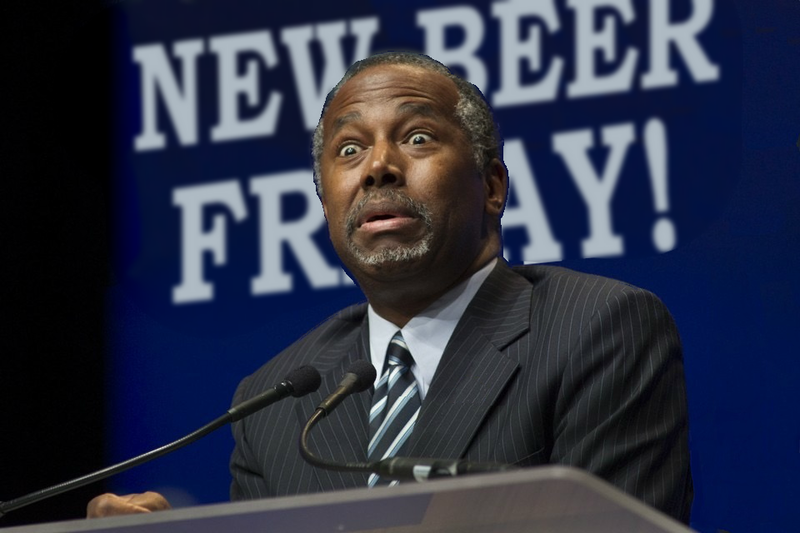 I've been replaced by Doctor, Ben Carson - who was once in the same room with someone who drank a beer from Utah. 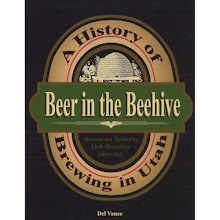 Due to his newly discovered expertise in the field of Utah's beer, I must obviously acquiesce. I hope to get my job back next week. Vernal Brewing Rigor Mortis Red Ale - The nose has aromas of roasted malts, and caramel. Nice hop presence up front balanced nicely by the rush of malts. Really nice balance with this brew. Overall really a solid brew and definitely worth a shot. 4.0% ABV @ Vernal, coming soon to the Wasatch Front Area. Proper Brewing Beer Bar Blonde - Brewed exclusivly for SLC's Beer Bar. 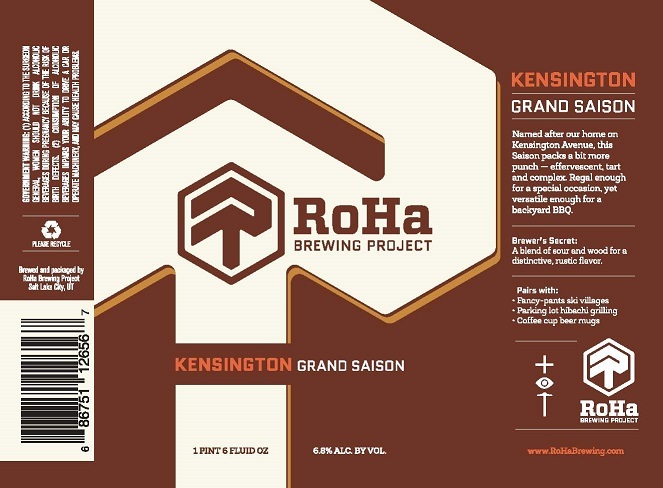 Havn't had it yet, it will debut tonight at 7pm at beer Bar. Returning is a newly amplified Czechulator. This new version comes in at over 9% from the former 7.6%. Bohemian CzechUlator Dopple Bock - The nose is nutty, chocolate, clean notes of malty sweetness. Some toffee and caramel in there as well. The flavor starts off similarly with some notes of traditional chocolatey, nutty, and toffee malts. As the flavor develops on the palate, though, I get some berry sweetness towards the end. Easy drinking and enjoyable. A limited release that is only available at Bohemian's Brewery. 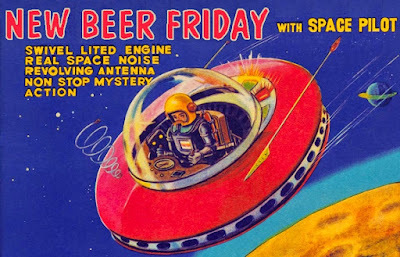 Be sure to check out New Beer Friday on KBER 101 with Mick and Allen along with myself at 3:30pm this afternoon. Labels: 2 Row Brewing Co., beer, Bohemian Brewing Co., utah, Vernal Brewing Co.
more chaos than the cozy brewery I was hoping for. That is not the case now. While there is still a small level of chaos, it's far overshadowed by the new bar and collection of new stainless steel brewing vessels. charm from the old garage that the brewery now inhabits. They even acquired an old wooden ice box that will store all of the Fisher beer you'll be buying. It may look small but it's mounted to the breweries walk in cooler, so it will always be full. A lot of you have been asking me, "why it's taking so long"? to get this place up and running. Well, simply put, Colby, Tom, Tim and Steve are doing everything that they can do by themselves. While that may not change the taste of the beer, it may make you appreciate it and the brewery more. the staff up to speed, but early 2017 looks to the perfect time to enjoy a beer at the Granary District's new brewery. Fisher Brewing is located at 320 West 800 South in Salt Lake City. As the time draws near, I promise to fill you in. Great News for Vernal Brewing Co.
Great news is coming in from Vernal Brewing Company to help you stay in touch with your favorite Vernal beers. 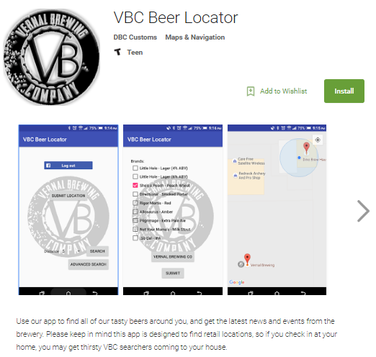 Utah's eastern most brewery has just released their “VBC Beer Locator” Android App which will give current Android users the ability find Vernal's beer, and or share the retail locations and brands offered with other potential users in “real time”. The goal of the app is to help consumers and encourage them to locate all beers and this will in turn help every person out there. 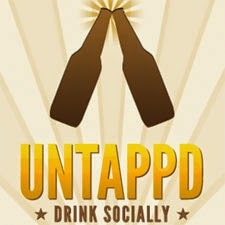 The more locations entered into the app, the easier VBC fans will be able to locate their favorite beer. Vernal's distributors also have many other craft brands in their portfolio’s, so users could even start locating other craft brands they’ve been looking for. More features will be added to the app in time to make it more useful, informative and fun for all users. 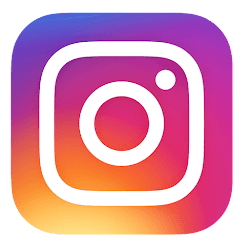 Android is the only device offered at the moment, but the iPhone version is being worked as we speak and will be available to consumers in the near future. 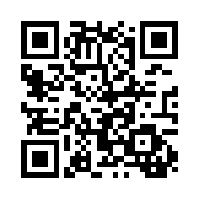 Vernal has provided a QR code to direct you to get you to the app faster. Once you get the app one of the first things you may want to do is find Vernal's newest packaged beer, Rigor Mortis Red Ale. While this beer isn't completely brand new, this release will help it find a wider audience. It's malty sweet with caramel tones, a bit of grapefruit and moderate hop finish. 4.0% ABV - 36 IBUs. Look for it soon in the Utah and Wyoming distribution areas. And if all of that isn't enough excellent news, Vernal Brewing just received their full blown liquor license - which mean no food requirements with beer purchases. 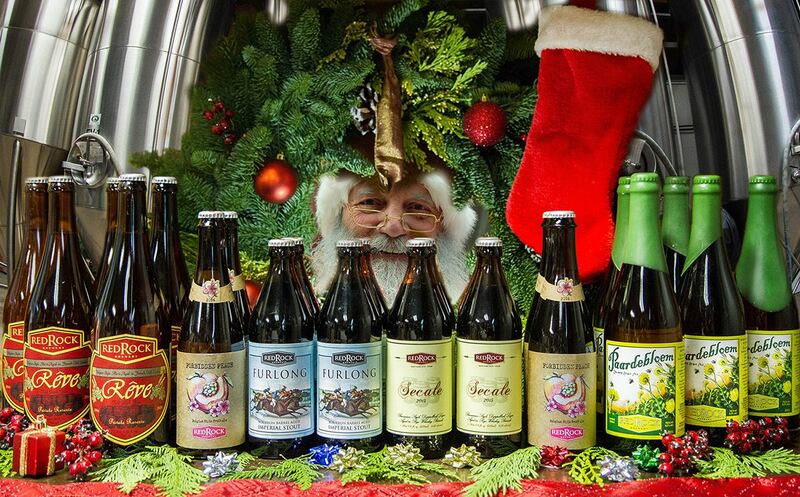 RedRock Brewing Company has a sleigh full of surprises awaiting you this month at the Red Rock Beer Store. First, if you’re a fan of Red Rock Brewery’s barrel-aged beers, we’ve got good news. The good people at RedRock have stashed a fair number of their most coveted beers for a new game that they've aptly named, “The Twelve Days of Christmas at the Beer Store”. The concept is pretty simple. Every time you visit the Red Rock Beer Store between now and December 24th, you will be given a uniquely numbered “12-Days of Christmas Card”. Then starting on December 13th, RedRock's staff will be randomly picking numbers and matching them with one of the “sold-out” beer styles displayed in the photo above (click to enlarge). RedRock expects to draw about 5-10 winning numbers daily, starting on Tuesday the 13th. You can pick-up one card (entry) per-person, per day. 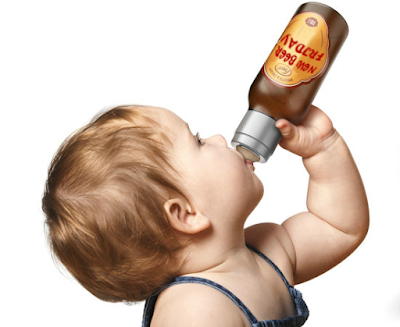 Each winning number will be matched with (1) 750mL bottle or (2) 500mL bottles. Beer styles will be assigned randomly to each winning number. Take it or leave it…you have no obligation to purchase and RedRock will gladly keep your winning number in the game if you are assigned a style that doesn’t interest you. Just by coming into the Beer Store, you’ll have a random chance of winning free Red Rock merchandise throughout the day. We’ll be giving away glasses, shirts, bottle openers, etc. There’s no purchase necessary to win. 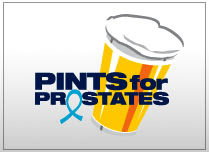 Better get you asses over to the RR's Beer Store and start collecting your cards! 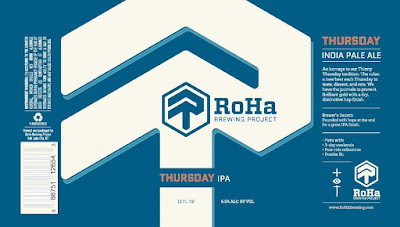 As promised we have more of what's to come from The RoHa Brewing Project's all new portfolio of beers. 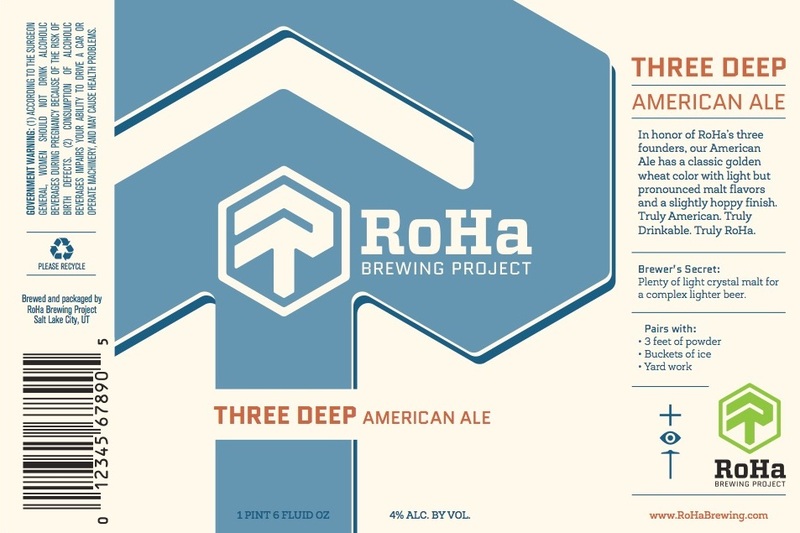 Three Deep American Ale is dedicated to the founders of The RoHa Brewing Project. Light golden wheat in color this American Ale will be bright with American Malt and hops that will likely be full of all those citrus and pine notes that have made American Ales so popular around the world. hops. Look for an ABV of 6.5%. It's hard to say, when you'll be enjoying some of these new beers. Odds are pretty good they'll be out of the fermenters by February. When days get closer we'll have a better idea. 2 Row Amber Ale - This is 2 Row's first 4.0% offering. The nose is mostly pine and citrus. The taste starts with biscuit and some nut brown and caramel notes. The hops a re a nice blend of pine and citrus peel. They complement each other well. The end is mildly earthy. 4.0% ABV @ 2 Row, Beer Bar BeerHive, East Liberty Tap House. Check these locations first before making the trip. The beer is in, but waiting for tap handles to free up.